Eclipta alba, more commonly known as False Daisy, is indigenous to India, China, Thailand and Brazil. The plant is commonly used in Ayurveda for liver disease and treatment of skin disorders, including eczema, dermatitis, hair loss and insect bites, although peer-reviewed research to support its use is preliminary and limited. Always consult with a physician before self-medicating with alternative therapies. Extracts of Eclipta alba has been traditionally used as an alternative treatment for infections. An article appearing in the May 2011 issue of the “Annals of Clinical Microbiology and Antimicrobials” investigated the antimicrobial effects of Eclipta alba on secondary infections of patients undergoing anticancer treatment. The researchers gathered samples from 40 oral cancer patients and identified nine different pathogenic bacterial species, including Staphylococcus aureus, causing Staph infections, Escherichia coli, which causes gastrointestinal problems, and Staphylococcus epidermis, a common cause of boils. The authors found that Eclipta alba was an effective antimicrobial agent against all of the tested organisms, and encouraged future studies to test the efficacy and safety of this herbal remedy. Eclipta alba is also used by herbalists to treat various form of cancer. A study in the June 2011 issue of the “Journal of Ethnopharmacology” explored the anticancer activities of Eclipta alba on a line of liver cancer cells. The researchers noted that an alcoholic extraction of Eclipta alba inhibited the growth of cancer cells and had cytotoxic effects, meaning that it was efficient in killing the cells. The study concluded that Eclipta alba had anticancer effects by preventing proliferation of cancer cells through the disruption of the DNA molecules; thereby effectively inhibiting the spread of the disease. The development of greener, ecofriendly pest control is highly desirable to limit further pollution of soil and water. To achieve this goal, researches are testing traditional Chinese and Ayurvedic methods with some success. A study published in the July 2011 issue of "Parasitology Research" investigated the effects of Eclipta alba as an insecticide to combat disease transmitted through mosquito populations. The researchers reported that Eclipta alba showed moderate larvicidal activity against third instar larvae after 24 hours of exposure. The study concluded that Eclipta alba was an effective ecofriendly alternative to chemical insecticides and further reported no known adverse implications for the environment. 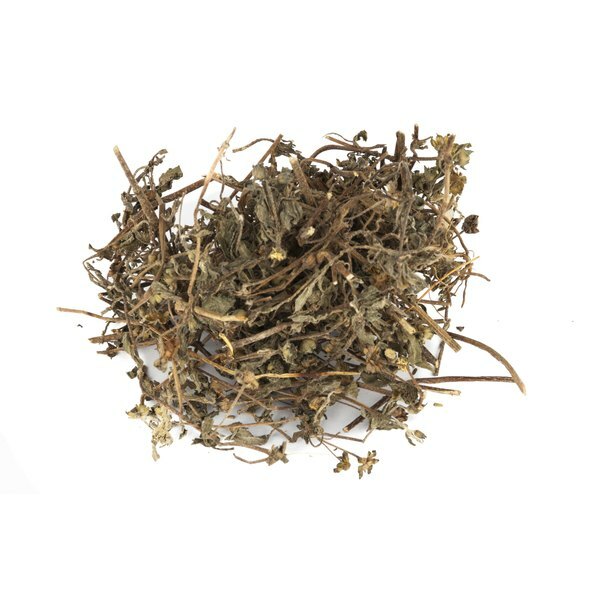 Eclipta alba is believed to promote hair growth and to maintain hair quality. A methanol extract of Eclipta alba was investigated as a potential promoter of hair growth in the July 2009 issue of the "Journal of Ethnopharmacology." The researchers topically applied the plant extract to the coats of mice, genetically manipulated for baldness, and found a dose-dependent stimulation of hair growth activity. The study concluded that Eclipta alba has potential to grow hair through the stimulation of hair follicles. The researchers recommended further studies to test the efficacy and safety of this extract.